Welcome to Queen City Game Club! 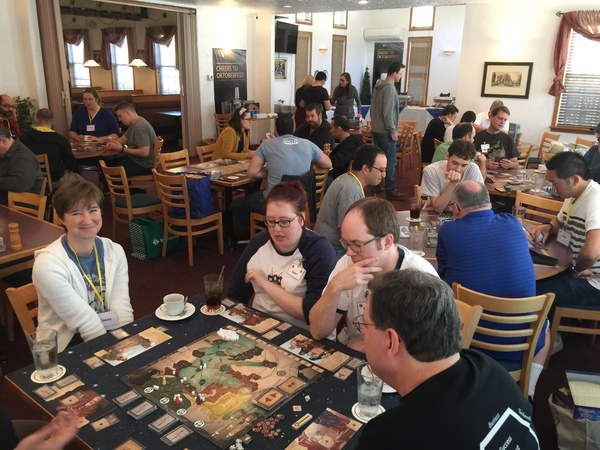 Queen City Game Club is the premier club for strategy gaming in Charlotte. We are a community of new and experienced gaming enthusiasts organized to promote euro and strategy games in Charlotte, by providing professional and engaging experiences that encourage exposure to and growth in euro and strategy gaming as a mainstream recreation. 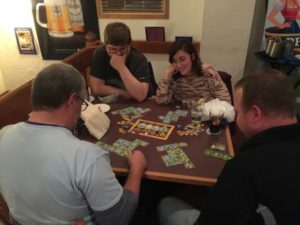 We host several monthly meetup events in the Charlotte area, including our popular Beers and Boardgames event for adults at the Waldhorn Restaurant in South Charlotte, which draws over 30 gamers each night. Whether you are looking to meet new friends, learn some new games, or find a new gaming community, we are looking forward to gaming with you! We play in public locations – you don’t have to go to a stranger’s house. We foster a professional and adult community of gamers. 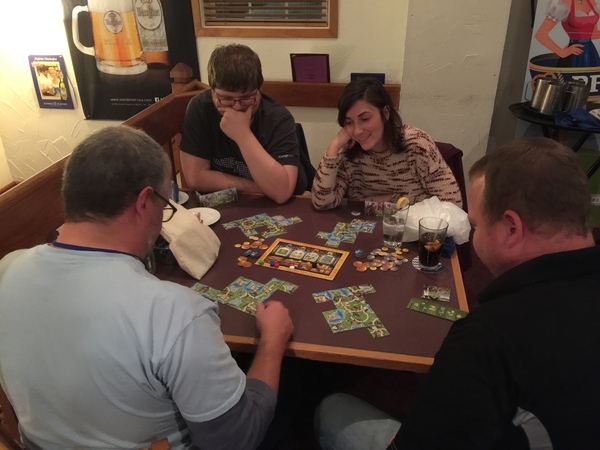 Euro games like Settlers of Catan, Agricola and Puerto Rico. Strategy games like Dominion, Pandemic and Small World. 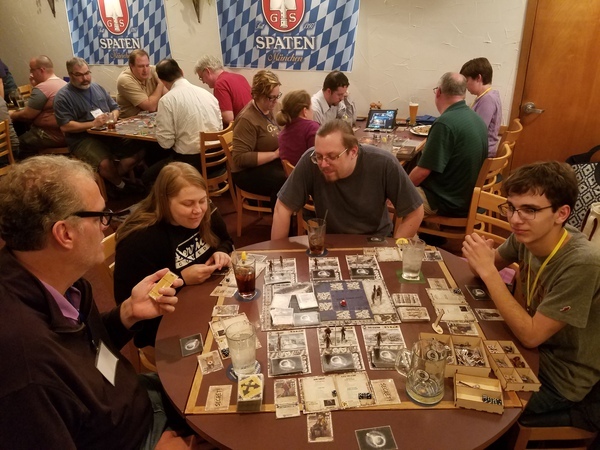 Casual and social games like The Resistance, Codenames, and Werewolf. You can use Meetup to plan a game ahead of time, or just show up and join in! Some nights fill up quickly, so be sure to reserve your spot on Meetup so we know you’re coming. Raise money for Levine Children’s Hospital by playing games with Extra Life! 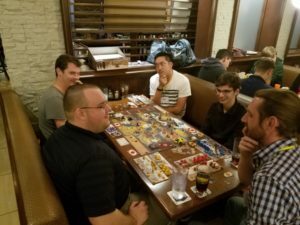 Queen City Game Club - Charlotte TableTop Day 2019!